It has been a few weeks since I received my Diggers Club order and set up the little seedling house..so time for an update. 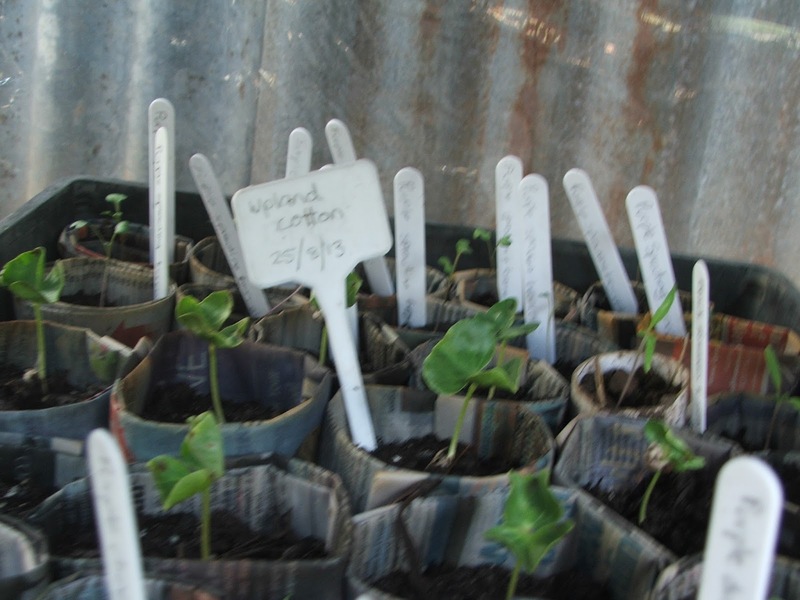 The Diggers Club seeds have proven very fertile with most seeds germinating within days of being sown. I have developed a Standard Operating Procedure (SOP) for my planting and potting on (I just love the official sound of that; really it’s just the way I do things for now). 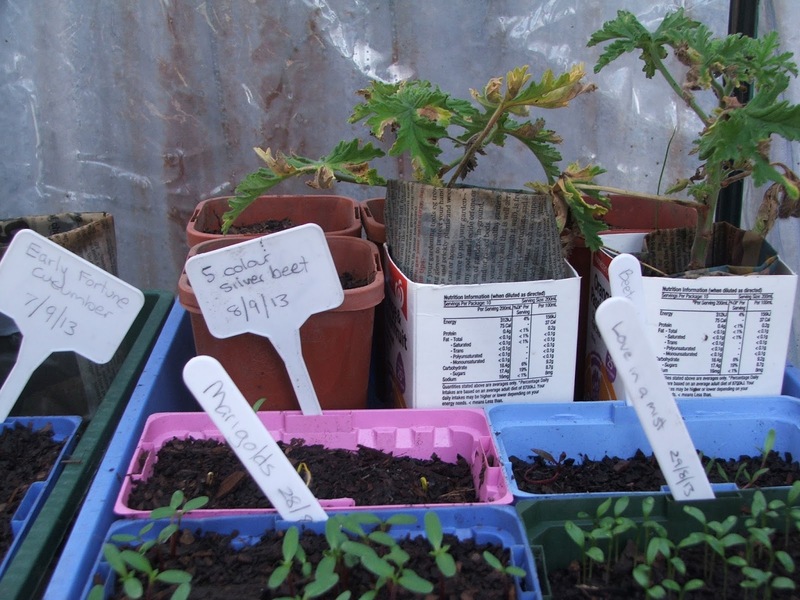 I sow the seeds in punnets of potting mix, label them and put the date on them. When the seeds have germinated and are big enough to handle, I pot them on individually into newspaper pots filled with compost (to give them a burst of nutrients when they need it). 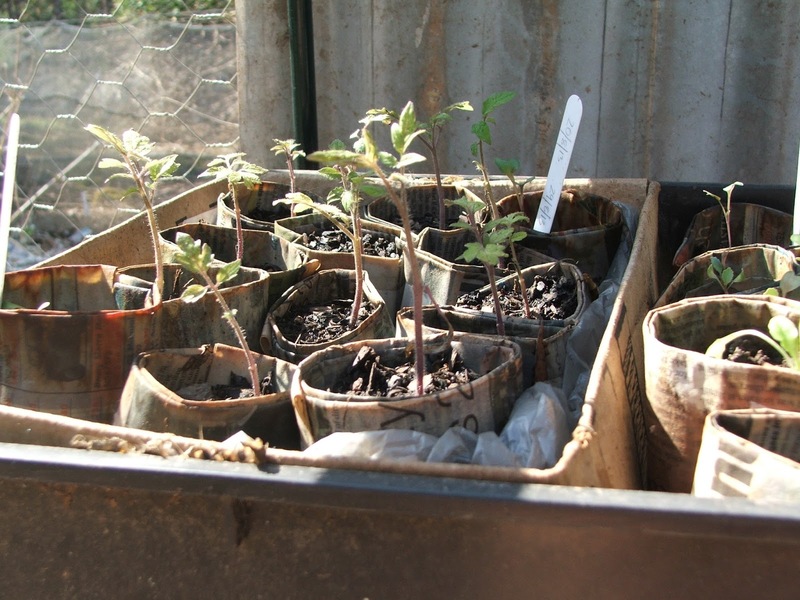 Once the seedlings have recovered from potting on, I move them to the second plant stand in the vegetable garden area to grow up enough to plant (or to wait until bed space is available). So far this SOP is working really well and I have been able to produce lots of tomato (Black Russian), carrot (Purple Dragon), rocket (Pronto), broccoli (Purple Sprouting) and Love-in-a-mist (Blue). The beetroot (Heirloom mix) has sprouted in it’s punnet, but I haven’t had time to pot them on yet. A weekly water with fish emulsion mix cures the leaching of nitrogen from the compost by the newspaper pots that was happening to begin with. I water the seeds in punnets with pure water every three days or so and the seedlings with the water from the chook’s drinking container when I wash it out (about every two days). The vegetables in the beds are surviving on the water from the sheep trough when I change it (about every three days) and the washing and rinse water from clothes washing (once a week). This system means that I use every drop of water twice (the shower water drains to the bog garden site, which will be planted with comfrey, banana, Louisiana iris and sweet potato, but isn’t yet) and I can survive for much longer on our single tank of rain water. I have a hen sitting on some Minorca eggs, thanks to the kindness of one of my friends (thanks Zoe) who gave me a dozen fertile eggs. 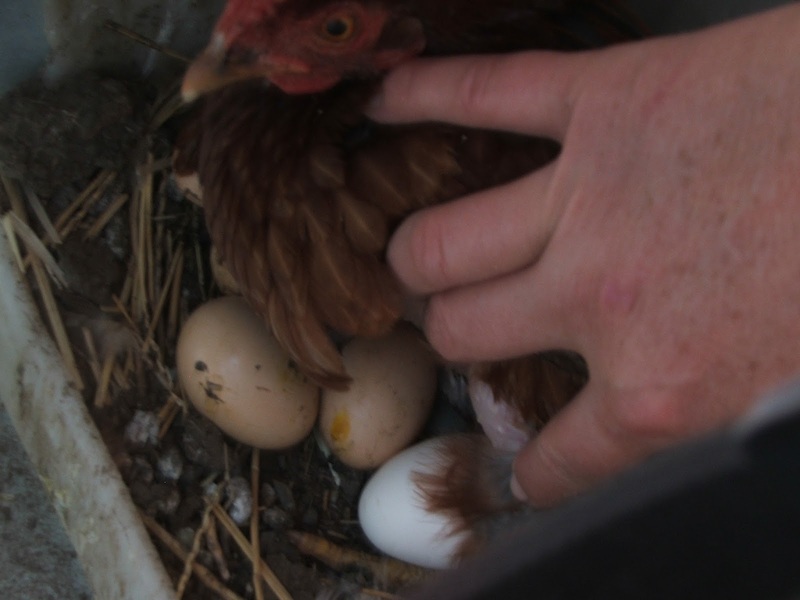 I thought it was time to introduce some new blood into my flock, and fertile eggs are the best way to do it. When chickens are raised in the flock from the egg up they do not introduce new diseases and the trauma (to the chickens) of introducing new flock members is eliminated. They look great. A SOP is a good idea. I am one of those people who does something once and then forgets what I did by the time I want to do it again. I think I need a SOP, and the patience to follow it! Thanks Jacqui. I don't always have SOPs, but enough to keep about half my life in order at any given time. I'n always looking for ways to fit more into my life and SOPs help me manage time better.